Join us for Fit & Fly Girl Mykonos, which will be held September 21 - 28, 2019, at two private villas. The Retreat Hosts are Fit & Fly Girl Co-Founder, Rebecca Garland, and Jane Robertson, and the Fitness Instructor is Hannah Davis. Hannah's Body.Reset is a one-of-a-kind personal training wellness retreat focused on taking a personalized approach to building a strong body and strong mind. 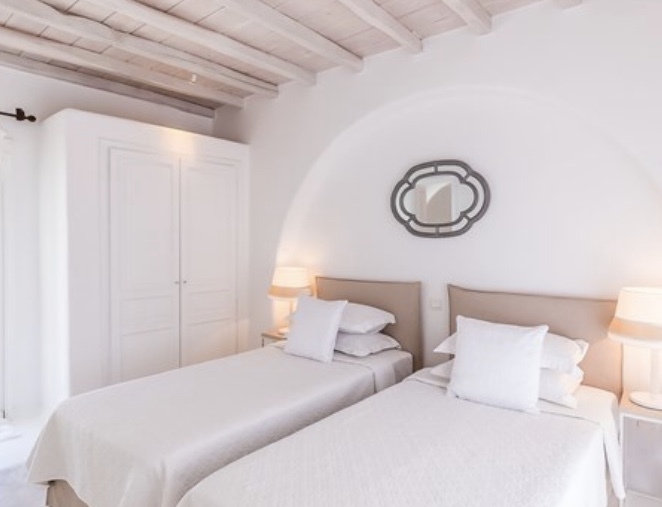 Upon arriving in Mykonos, you can expect a one-on-one consultation with Hannah to establish goals, perform a short physical assessment, and take baseline body measurements. Each day will bring a different body-changing workout that will be fun and challenging. Hannah also incorporates mindfulness training, yoga, and short self-development workshops focusing on how to better integrate a disciplined fitness program and healthier habits in a balanced, sustainable way that will equip you with the tools and motivate you to continue your journey to healthier living back home. This truly will be a total body.reset! Mykonos is a Greek island in the Aegean Sea, located in the Cyclades. One of the most popular of the Greek islands, Mykonos has two distinct personalities: There is the party side of the island where you can dance until 5 am to electronic dance music spun by the world's top DJs. And then there is the quieter side of the island, comprised of beautiful beaches, windmills, whitewashed buildings, and cobblestone streets that meander through Mykonos Town and Little Venice. The proximity to nearby Delos and Naxos makes Mykonos the perfect home base to explore other Greek islands. The island is dotted with quaint villages and towns with shopping that ranges from luxury goods at Louis Vuitton to small boutiques as well as world-class restaurants, and, of course, the famed Mykonos nightlife. 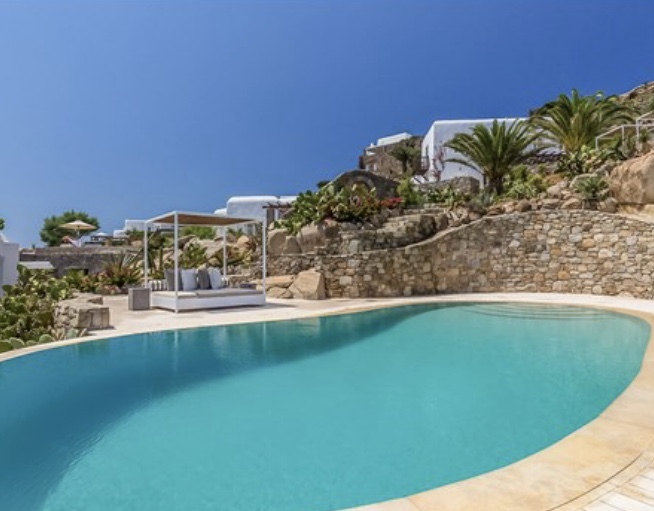 Fit & Fly Girl Mykonos will be held at Kerethium and Astarte, two neighboring private villas, located outside Agios Ioannis and set just above the Aegean Sea with a view of the island of Delos. Kerethium and Astarte boast classic Cycladic architecture, and each villa has a saltwater infinity pool. Kerethium has five bedrooms, and Astarte has four bedrooms. The bedrooms in both villas have ensuite bathrooms with showers as well as air conditioning. 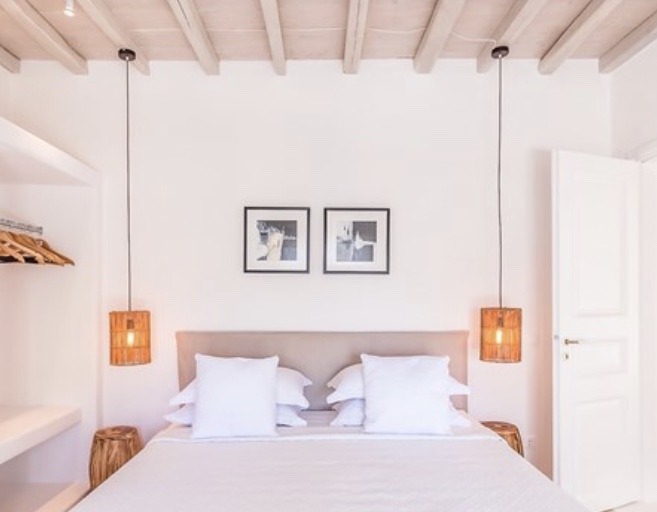 The decor of both Kerethium and Astarte include a mix of contemporary pieces and minimalist design, white and beige fabrics, whitewashed walls, and wooden beam ceilings. Most of the bedrooms have access to a terrace. The shared living spaces in both Kerethium and Astarte have multiple terraces, shaded outdoor areas, gardens, a wood fire BBQ, and sun beds for relaxing by the pools. The villas include both a fully-equipped kitchen and a semi-professional kitchen with independent access. Meals will be held outside in the shaded, outdoor dining area. Kerethium and Astarte feature WiFi, satellite television, and a Sonos sound system. The villas include a personal chef who will prepare healthy and delicious breakfasts, lunches, and dinners during the retreat. Two hours of housekeeping each day is included. Please note that while Kerethium and Astarte have a view of the Aegean Sea, the villas do not have beach access. Kapari beach is a five minute walk from the villas, and Agios Ioannis beach is a 10 minute walk from the villas. Rates do not include transportation to and from Mykonos; arrival/departure transfers to and from the villa; alcoholic beverages; two lunches and one dinner during the retreat, which will be held at local restaurants; additional spa treatments or supplemental activities; or optional gratuities for fitness leader, spa therapists, or villa staff. We have a limited number of spaces available, so contact us here or at info@fitandflygirl.com to reserve your spot! Get the latest information on Fit & Fly Girl's traveling retreats, including special deals and early access booking!